Using the latest (and some of the oldest) scientific techniques, we topically record and assay the atmosphere in working environemnts and check the purity of compressed air, in services used for breathing air. Records are maintained for five years following testing (in accordance with CoSHH Regulations) and levels of accuracy or other relevant recording tolerances are stated on your report, which remains client confidential. Where required; recommendations are made, to mitigate impurities discovered and identified and so assist you to manage your environment and work-place. Dependant on the task, there are several methods we use, from simple reagent and pH testing to spectrometry and gas chromotography. Usually, customers require us to identify and quantify impurities in compressed air, as part of their regular, compressor maintenance programme. The costings illustrated here are based on this task and represent one hour on site, which is usually adequate to record and analyse impurites from up to three air test points. Where more time is required, either through analytical complexity or from greater sampling scale, there is a further time charge of £49 per hour on site. (The illustration we have used is taken from an article published in New Scientist, during 2008. 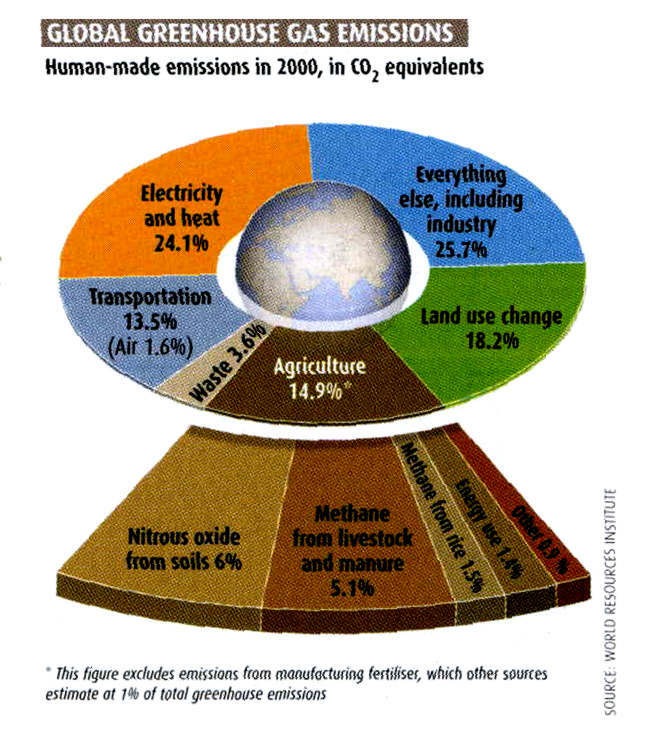 It has nothing whatever to do with us analysing your topical risks but is an interesting abstraction of global data, showing the relative proportions of 'Greenhouse' gases, generated by mankind! Other data suggest that mankind's contribution of Carbon Dioxide to the atmosphere is less than one eight-hundredth of that created by natural sources). Click the button below to add the Analytical Risk Assessment, atmospheric contamination to your wish list.